SASKATOON , March 4, 2019 /CNW/ - George H. Read , P. 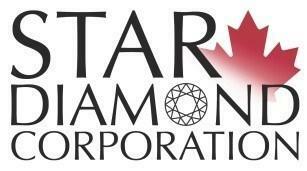 Geo., Senior Vice President Exploration and Development of Star Diamond Corporation ("Star Diamond" or the "Corporation") is pleased to announce that the Corporation has completed a major study into the abundance of Type IIa diamonds in the diamond parcels recovered from the Star and Orion South Kimberlites located within the Corporation's Star - Orion South Diamond Project, in the Fort à la Corne diamond district of central Saskatchewan, Canada , on mineral dispositions held 100 percent by Star Diamond . This study confirms that unusually high proportions of Type IIa diamonds are present in both the Star (26.5 percent) and the Orion South (12.5 percent) kimberlites. This study confirms and augments an earlier study of Type IIa diamonds in the Star Kimberlite (see News Release dated June 09, 2010 ). Type IIa diamonds are very rare and account for approximately less than 2 percent of all natural rough diamonds mined from kimberlites. Only a small number of active diamond mines regularly produce Type IIa diamonds with the most important of these mines being Letseng-la-Terae (Letseng Mine) in the Kingdom of Lesotho . While Letseng is a low grade (1.5-3 cpht) kimberlite, it is probably the most prolific source of large high-value Type IIa diamonds, which contribute to making Letseng a highly economic deposit. The 2010 study on plus 2.7 carat diamonds from Star demonstrates that the Star Kimberlite has a similar proportion of Type IIa diamonds to Letseng. The Type IIa diamond counts and the percentage of Type IIa diamonds for the major Star and Orion South kimberlite units are documented in the table below. As can be seen from the table above, a significant number of diamonds, from each of the major kimberlite lithologies within both Star and Orion South, have been analysed and typed. The diamonds analysed represent a spectrum of diamond sizes from +11 DTC (+0.32 carats) through all of the large stones, up to diamonds of nearly 50 carats. The largest Type IIa diamonds identified include a 49.09 carat stone from Star and a 32.35 carat stone from Orion South. The most valuable of the Type IIa diamonds from Star is the 11.96 carat diamond valued at US$11,333 per carat and the most valuable of the Type IIa diamonds from Orion South is the 15.88 carat diamond valued at US$2,800 per carat. Type IIa diamonds contain no nitrogen or boron impurities and are frequently either top white colours (D, E, F or G) or any shade of brown. Many pink and brownish-pink diamonds are also Type IIa. Type IIa diamonds usually have anhedral crystal shape and exhibit a range of elongated, distorted or irregular morphologies. Most importantly, many high-value, top colour, large specials (greater than 10.8 carats) are Type IIa diamonds, which include all ten of the largest known rough diamonds recovered worldwide, from the 726 carat Jonker to the 3,106 carat Cullinan. The coarse diamond size frequency distribution for the Star Kimberlite diamond populations (particularly the Cantuar and Early Joli Fou kimberlite units), combined with this significant proportion of Type IIa diamonds, strongly suggests the potential for the recovery of large (plus 100 carat), high quality diamonds. Statistics on the proportions of Type IIa diamonds produced by diamonds mines are not freely available. However, Bowen et al (2009) published Type IIa FTIR measurements for 484 plus two carat diamonds from the Letseng Diamond Mine. The Letseng Mine has a low grade of some 1.5 to 3 cpht but is highly economic as a result of its unusually high average diamond price ( US$2,131 per carat in 2018). Letseng accounts for some 30 percent of the world market share of diamonds greater than 25 carats and has produced some of the biggest gem quality diamonds recovered in the past number of years including the 910 carat Lesotho Legend, 603 carat Lesotho Promise, the 550 carat Letseng Star, the 493 carat Letseng Legacy and the 478 carat Light of Letseng. These are all Type IIa diamonds. The Karowe Mine of Lucara Diamond Corp. has also produced some record Type IIa diamonds in the past few years, notably the 1,109 carat Lesedi La Rona , which is the second largest gem diamond ever recovered, and the 813 carat Constellation, which was sold for the record price of US$63.1 million . Fourier Transform Infrared (FTIR) Spectrometry is used to determine the concentration and aggregation state of nitrogen within the diamonds using industry standard methods. All analyses of nitrogen content and aggregation state were carried out at the Saskatchewan Research Council's ("SRC") high security diamond facility, with 24-hour video surveillance. The SRC's Geoanalytical Laboratories is accredited to the ISO/IEC 17025 standard by the Standards Council of Canada as a testing laboratory. Senior Vice President Exploration & Development, George Read , states: "The presence of a significant proportion of Type IIa diamonds in the Star and Orion South Kimberlites greatly increases the potential for the recovery of large (plus 100 carat), high-value diamonds. Analysis of the Star and Orion South diamond evaluation parcels indicated a significant proportion of Type IIa diamonds, some of which are top white in colour. The presence of two high-value diamond groups (octahedra and Type IIa) greatly strengthens the future potential production diamond pricing from the Star and Orion South Kimberlites." Bowen, D.C. Ferraris, R.D. Palmer, C.E. and Ward, J.D. (2009) On the unusual characteristics of the diamonds from Letseng-la-Terae kimberlites, Lesotho . Lithos Vol. 112S pp.767 – 774. This news release contains forward-looking statements as defined by certain securities laws, including the "safe harbour" provisions of Canadian securities legislation and the United States Private Securities Litigation Reform Act of 1995. Forward-looking information is often, but not always, identified by the use of words such as "anticipate", "believe", "expect", "plan", "intend", "forecast", "target", "project", "guidance", "may", "will", "should", "could", "estimate", "predict" or similar words suggesting future outcomes or language suggesting an outlook. In particular, statements regarding the Corporation's future operations, future exploration and development activities or other development plans constitute forward-looking statements. By their nature, statements referring to mineral reserves, mineral resources, PEA or TFFE constitute forward-looking statements. Forward-looking statements contained or implied in this press release include, but are not limited to, the potential proportion of Type IIa diamonds in the Star and Orion South kimberlites and the potential for the recovery of large high quality diamonds.